When the Nepalese travel agent organizing my trip to his country included in the program a one day trip to Nagarkot with an overnight stay, I just said to myself – well, why not. I just thought - one of these places you visit three times in your life – first time, last time and never again. In other words – a place like thousand others, a memory of it will fade few days later. 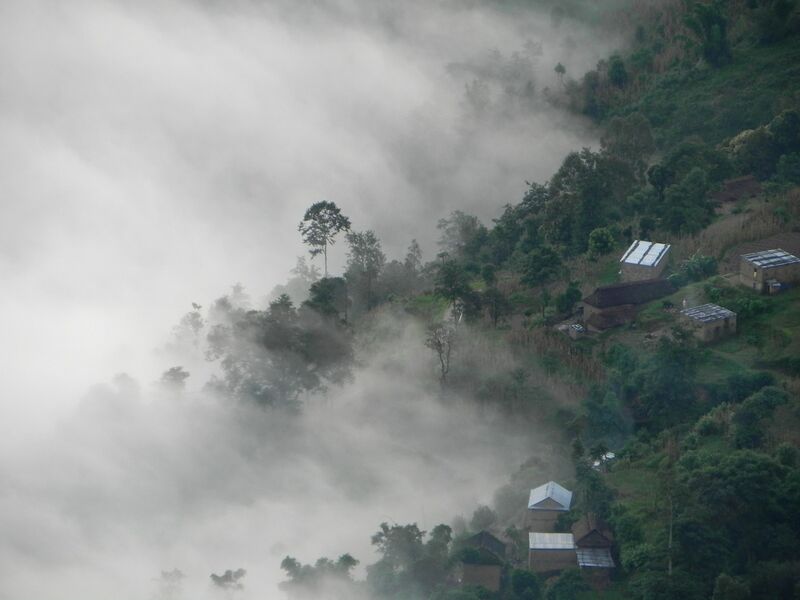 I have never been there but I already miss it…..
Nagarkot is a small village north-east of Kathmandu situated on the mountain ridge surrounding the Kathmandu Valley. What makes it so special is - location, location, and once again location and we all know very well what does that mean! From the top of the ridge (at an altitude of about 2200 meters - 7200 ft) it offers fantastic views on Himalayan ranges – from Dhaulagiri on the west, through Langtang range to Mt. Everest (Nepalese name - Sagarmatha) on the east and if you are very lucky even further east to the massif of Kanchenjunga. And all the way to the horizon the panoramic view on the Kathmandu Valley. 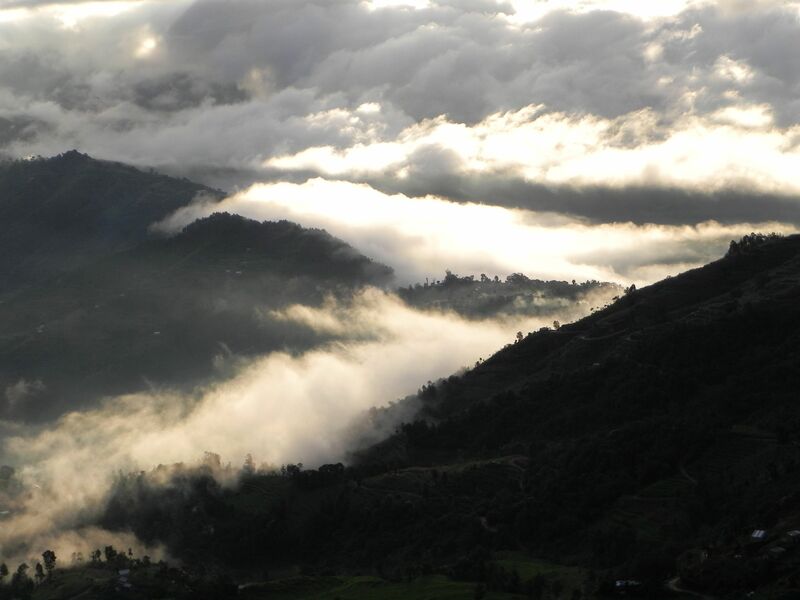 No wonder, Nagarkot is a widely enjoyed resort with many hotels and guesthouses best known not for the accommodations they offer but for the unforgettably idyllic sunset and sunrise views of the mountains. Dynamism of vistas imposed by fast moving and unpredictable clouds. It is true that in a good sunny day, mostly during the winter time (October through March) there is a big chance to have in front of you a “still-like” image of the Himalayan ranges, permanently filling the distant horizon from the east to the west. 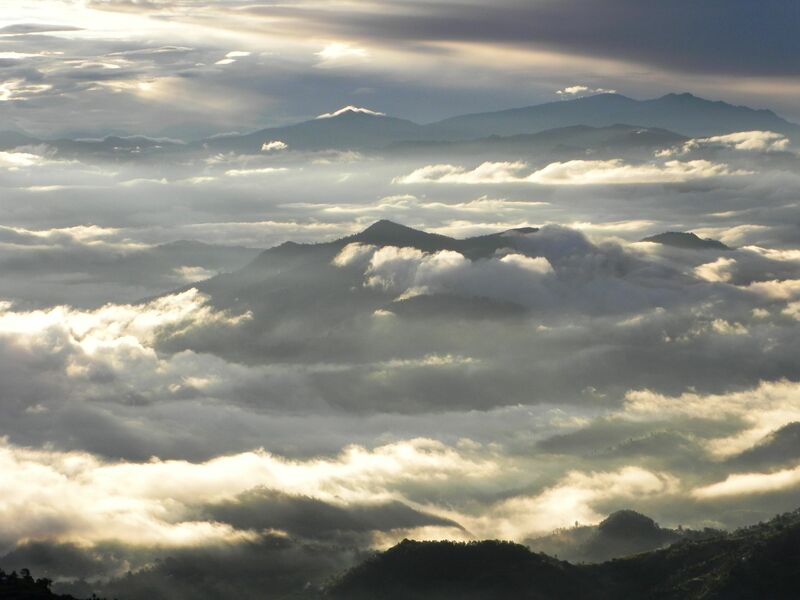 But frankly my mid-September travel time turned out to offer even more spectacular and dramatic views as you can see on these Free Nagarkot Nepal Pictures. All that thanks to the feeling of motion and dynamism imposed by unpredictable, fast moving clouds. Believe me – there is nothing more memorable than sitting on the terrace in an open air restaurant, sipping a strong-tasting espresso stimulating your sense of smell or having a glass of wine…provided that… Yeah! at the same time in front of you like in an old kaleidoscope, through the “windows” of the low moving clouds and foggy air opens the heavenly mountainous landscape. Below, in the large valley dotted with little villages the fields of clouds slowly meander between hills temporarily changing the landscape from everlasting spring-green to snowy winter. The fairy-tale unfolds in front of your eyes. It is unbelievable yet so real, you can almost touch it with your hands. You can drink from the clouds that suddenly and almost in no time fill the space around you to the point that the whole valley and mountains disappear with no trace….. So you pinch yourself to make sure you are not dreaming, raise the glass of wine you already forgot about or take the next sip of coffee and then like in a cat and mouse play a clear view on the far away mountains comes back but with even more intensity…..
Well, one picture is worth more than thousand words. I hope that this set of photos from the Free Nagarkot Nepal Pictures offered you at least a “taste” of an absolutely jaw-dropping experience. May be even you felt like “being for a while” in the wonderful country of Nepal…. The next step may be only booking the air tickets.